One challenge faced by public sector leadership is developing the leaders of the future. Most who enter public service enter a specific technical field such as public works, human services or law enforcement. When entering these fields, personal qualifications are commonly associated with the technical aspects of specific disciplines. The challenge for leaders is shifting employees from what is primarily a technical perspective to one that is more global, preparing them to lead their organization in meeting the needs of the diverse communities they serve. A reading list is a simple, practical approach to support such efforts. Viewed in the most basic manner, a reading list is simply a list of books recommended by the senior leadership, but it may be far more. On the face of it, reading lists provide exemplars of effective leadership approaches in varied settings, which has potential value itself. However, beneath this reality, reading lists provide a subtle, non-threatening means for communicating organizational values. It does so in a manner that is likely more effective than any formal statement of values can ever be, and, as most of the readings will be written for popular consumption, they are more likely to be presented in a manner to stoke an emotional connection between the reader and the material, contributing to long-term changes in values. Leadership Books: As the reading list is designed for developing leaders, books on leadership must be included. However, one does not have to rely on books with leadership in the title. Biographies provide a rich course of materials on leadership, providing insights into the experiences of leaders in politics, religion, sports, or other venues. Such materials, providing insights from other perspectives, may provide thoughts on subtle differences in leading in differing environs. Be wary about simply adding books you personally favor – the goal is to develop leaders, not just share personal favorites. This brings up a special concern. While they can be of great value, be wary about political biographies. Clearly that can provide useful insights, regardless of the political views contained. The challenge is, in our current socio-political environment, such works may evoke bitter opposition, shifting the focus from leadership into partisan politics. Either include works reflecting a balanced view or do not include any. One must also be wary about heavily investing the list with sports and military leaders. Include them, but recognize not everyone will be interested in the contexts, limiting their efficacy. Ideally, reading lists should include works on leaders from differing settings, of differing genders, of differing faiths and of differing cultures. The focus must remain on leadership, but providing diverse examples may make the work more approachable, therefore of greater potential value to all employees. Policy Books: While the focus of the reading list will be leadership, public sector leadership demands an understanding of the policy environment. 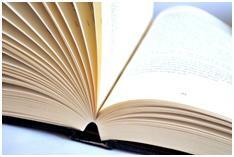 Consequently, to maximize the value of the list, books on policy should be included. This will better prepare public sector leaders for mid- and upper-level positions. In the end, public policy is largely about identifying stakeholders in the community, determining what they want, and crafting a collaborative approach for meeting those needs. Books on almost any policy in almost any setting may be useful for instilling an awareness of how to lead a public agency in a real-world environment. Most who enter public service do so within a narrow, technical field. As they advance into leadership positions, they may find they lack the training, education, or experience to prepare them for the new challenges they face leading public agencies in a real-world environment. Organizational leadership must take efforts to prepare them. One means to address this, indoctrinating and educating new employees and lower-level leaders in leadership and policy, is to craft an organizational reading list. It is a simple, inexpensive, non-threatening means of developing employees, as well as for creating both a shared vision and a set of values throughout the agency. In the end, this should support more effective, more efficient, more customer-centered public administration at all levels. Excellent points. The reading lists are too often overlooked as a development tool. Thanks for the reminder.